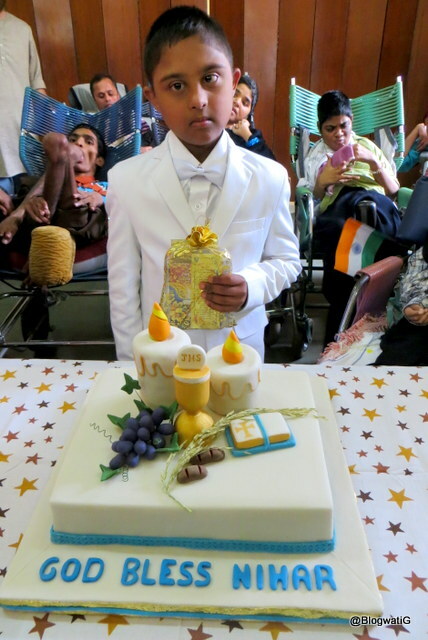 Today Nihar received his First Holy Communion. Who is Nihar? He is a very important family member of the House of Charity. He is an amazing choir conductor, a graceful dancer and a charmer with the most innocent smile. It is a huge milestone for a child who is special. And for who at one point, every 24 hours was another day achieved. Today an entire community witnessed his joy. Funny, these tears of happiness. They drop in anytime. God bless…he is so sweet. This is so sweet !! God bless Nihar ! !